Creating a WordPress news website and blog is not the final option that you have for ultimate branding and business growth. Other than that, WordPress Mobile applications are the next and best solution for business growth. 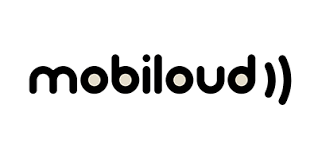 MobiLoud is one famous WordPress app builder. This article will introduce you about appmaker- The best MobiLoud Alternative. Mostly, it’s either a WordPress Blog or WordPress news websites that are built in WordPress platform. And there are some common features that are to be met while converting a WordPress website into a WordPress app. Lets see what are the main WordPress features of mobile app. Appmaker, the MobiLoud Alternative for WordPress provides vivid features for WordPress App. Let’s see what are the main features provided by appmaker for WordPress app. Just like MobiLoud, appmaker lets you convert WordPress Websites into Native WordPress Android and iOS apps. Building a native WordPress App with appmaker will only take a few minutes. The efforts that you put in to build a WordPress app could go in vain if the presentation of the WordPress app is not just right. Especially, While going for a MobiLoud Alternative for your WordPress Android and iOS app, make sure that they are built with stunning themes. Appmaker, the MobiLoud Alternative provides customizable WordPress app themes for your Blog app/News App. Make them stunning and appealing for your App users. Just as MobiLoud, WordPress mobile app offered by appmaker are completely integrated with WordPress. Which says the articles, images and videos etc that are added to your WordPress Websites are easily loaded to your WordPress apps. This makes it easy for you to choose actions for each widget that you add to your WordPress App. Nothing is convincing until you get a glimpse of it. The MobiLoud Alternative introduced here provides a Demo app for your WordPress Website. The WordPress demo app provided by appmaker includes features including social sharing, images, vidoes, posts, widgets and more. Convert WordPress into a mobile app with limitless features. appmaker, the MobiLoud alternative lets you add all the articles, images and videos from your WordPress website into a mobile app. Make it fully available for your blog/ news reader. Get WordPress Appmaker’s Plugin for your website. Appmaker has its WordPress app builder integrated with social platforms. Allowing the WordPress app users to share your app content socially increase brand recognization and acquire new customers. Again, Just like MobiLoud, Appmaker offers push notification, letting users send personalized push notifications. Create notifications for the targeted crowd and reengage them with your mobile app. By all means appmaker is truly the best alternative for MobiLoud. Create your app and compare it through appmaker’s live app preview. Moreover, all the changes that are made to the app is instantly reflected in the WordPress App. Appmaker does not just concentrate on building the app. From branding to making some extra earning, appmaker assist you through out the procedure. Appmaker’s WordPress App builder is integrated with AdMobs. Post Ads of other businesses on your app, which is a good way of increasing app revenue. Among the WordPress app builders out there, choosing the best app builder to build your WordPress app is critical. Appmaker, the MobiLoud provides all the features provided by MobiLoud. And more of it. By all means, Building an app with Appmaker is free of chaos and easy to build since it is a code-free app builder. Furthermore, appmaker’s WordPress App builder is fully customizable. Let it be themes, layouts, features and even push notification. Appmaker offers full app customization.